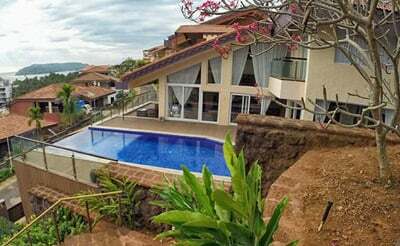 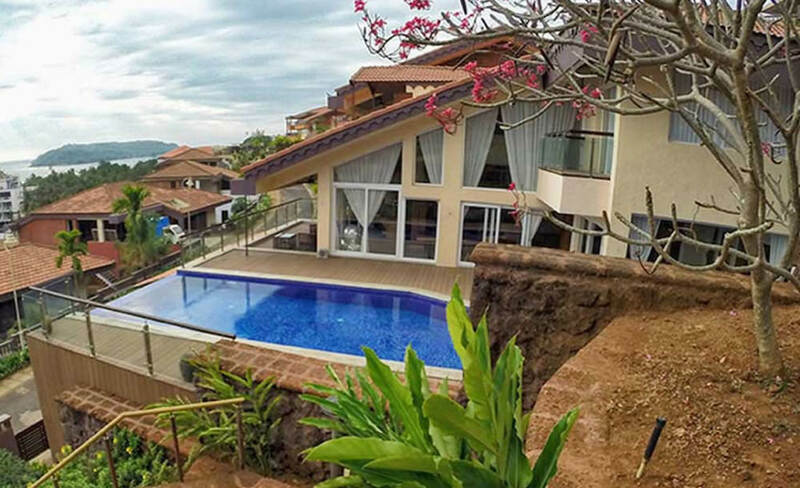 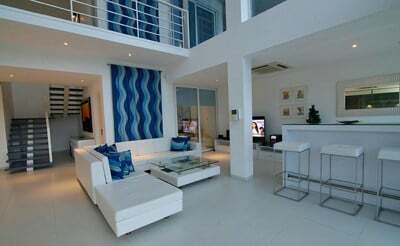 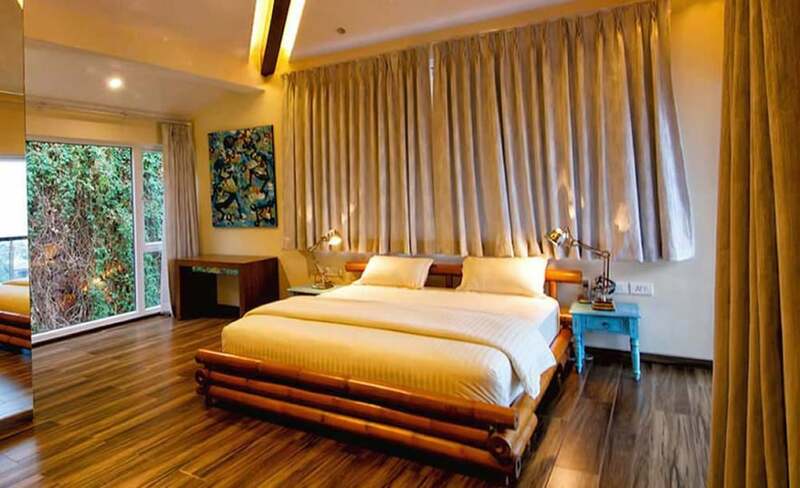 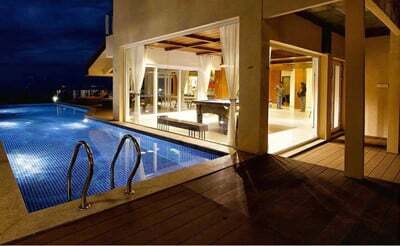 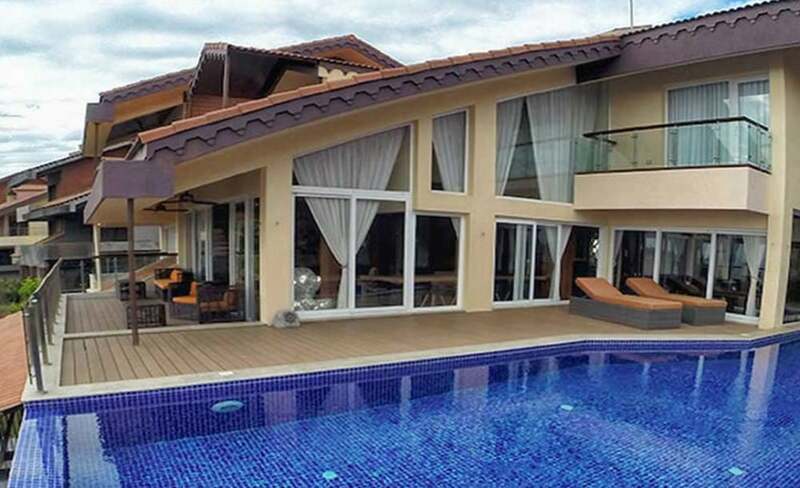 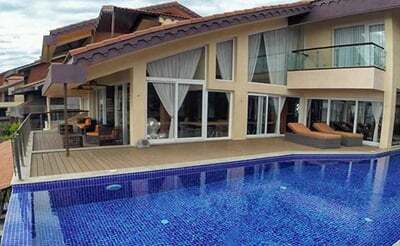 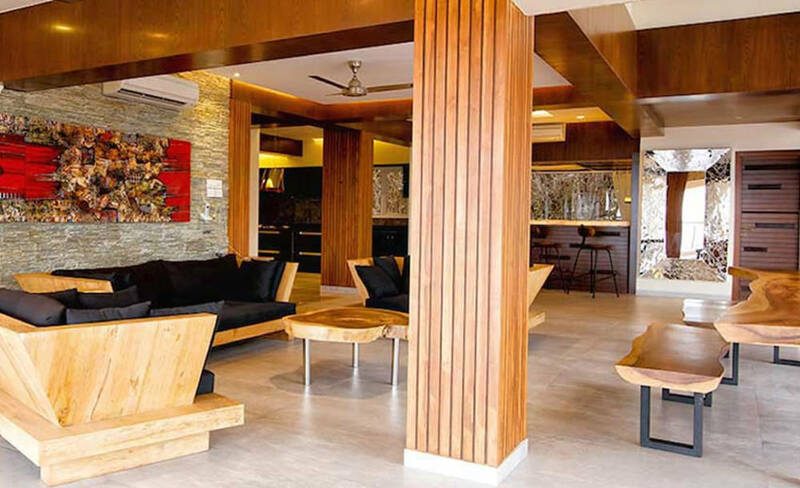 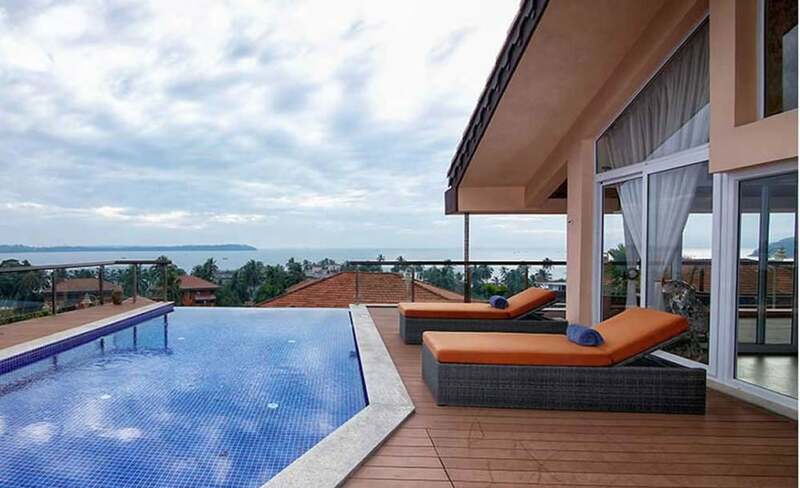 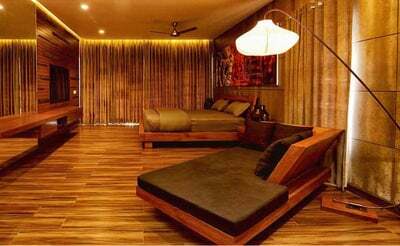 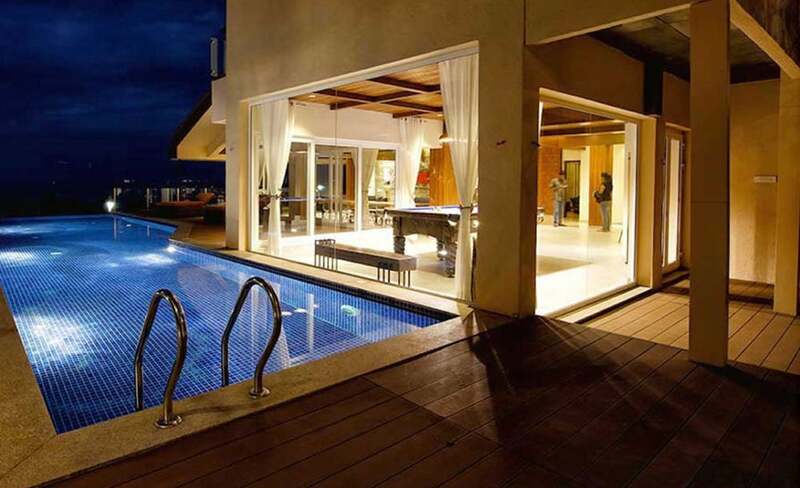 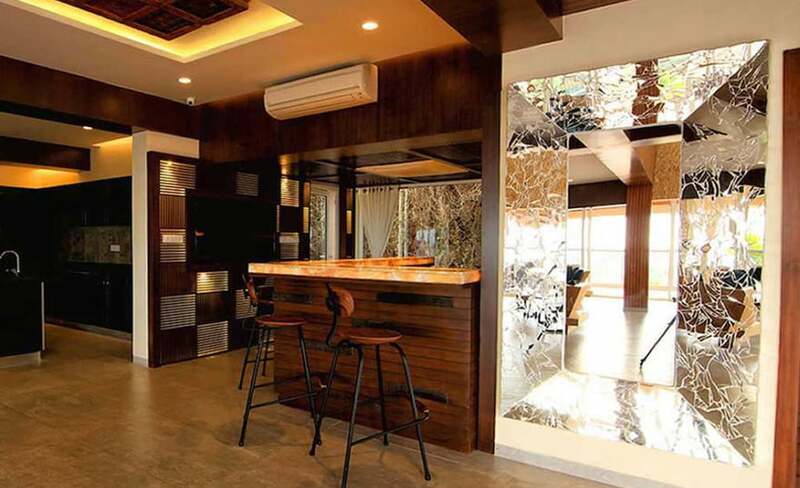 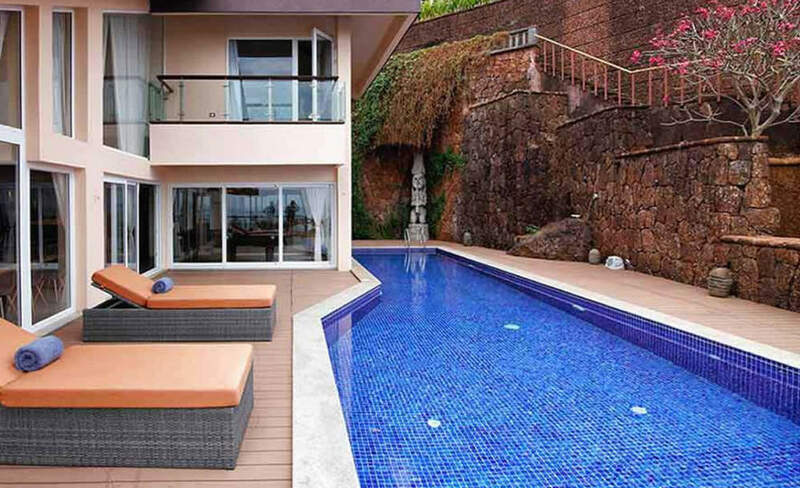 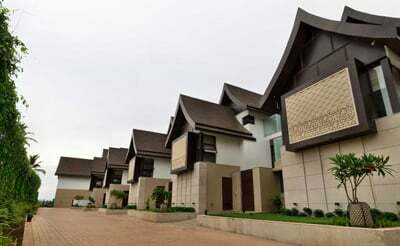 Abode the extravagant 4 bedroom Super Luxury Villa in Goa – The domus, in North Goa, extending to an area of 6500 sq. 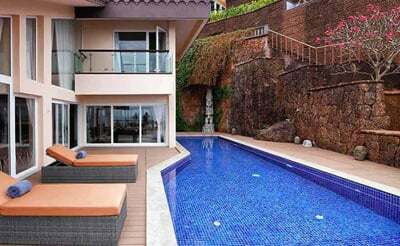 ft of enchanted scenery overlooking the fascinating Coco-Beach located at Reis Magos a new development very near to the Candolim Beach. 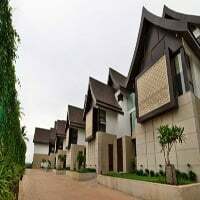 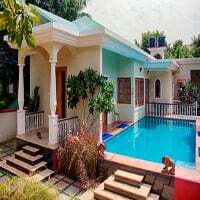 The villa is set near residential estate which stretches over 7 acres of land with alluring bungalows and Terrace Villas. 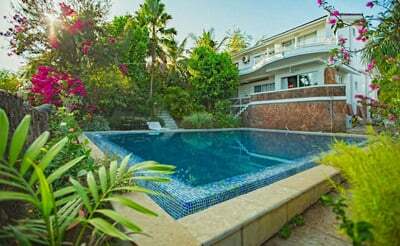 The villa has its own private swimming pool, terrace and garden. 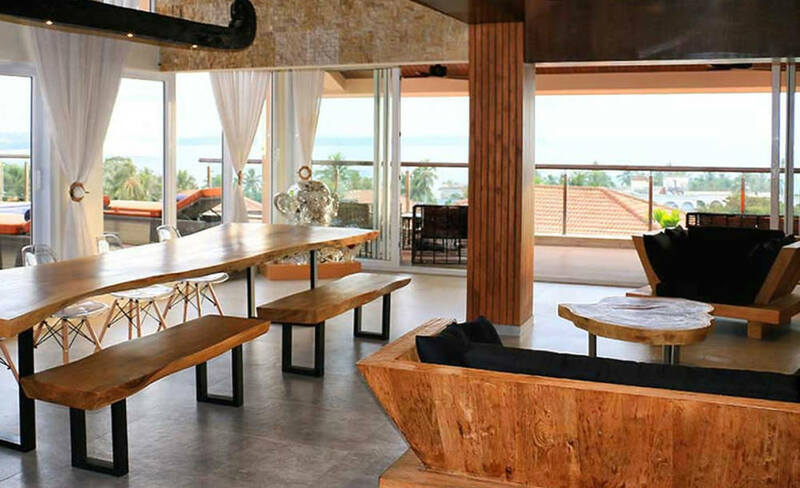 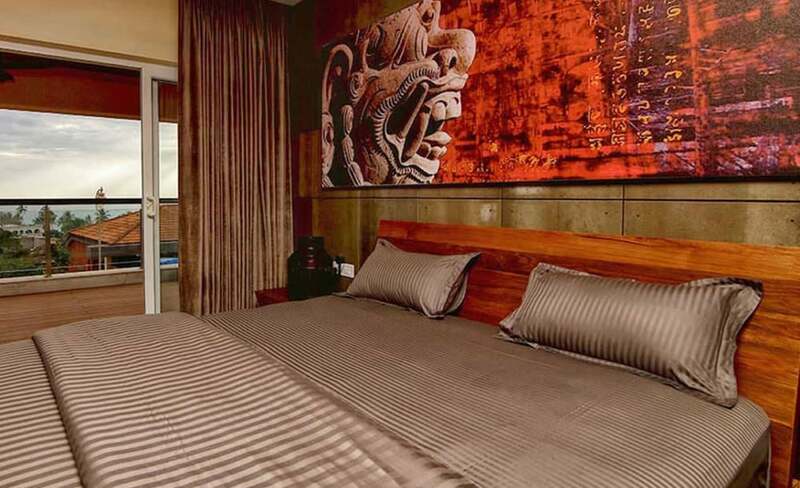 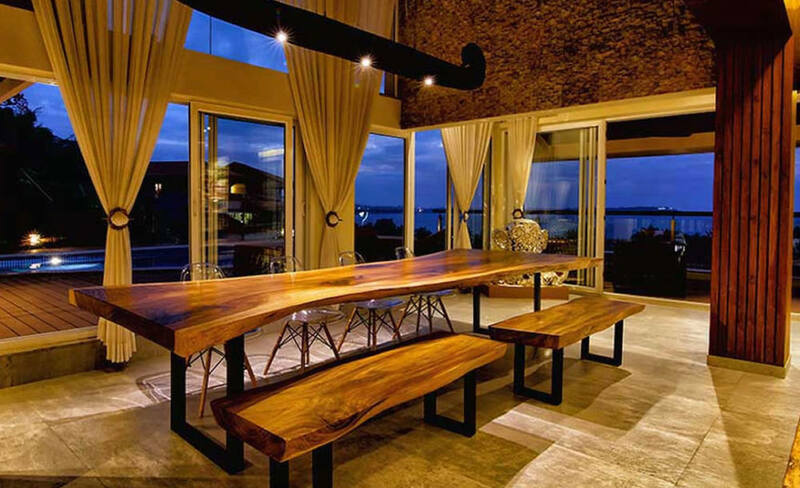 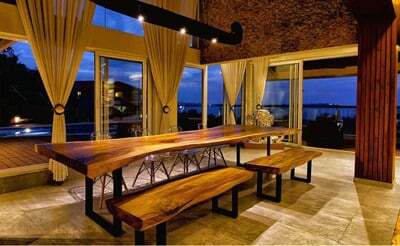 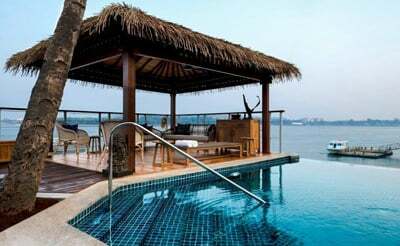 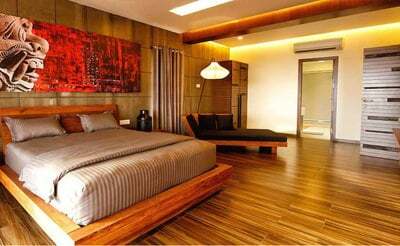 It has been designed in Balinese interior put on with a modern twist. 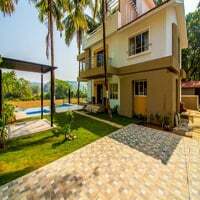 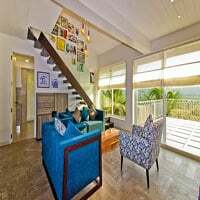 This 4 bedroom Villa in Goa bestows sea view in all the bedrooms, air-conditioning and flat TV’s, besides attached bathrooms with rain shower. 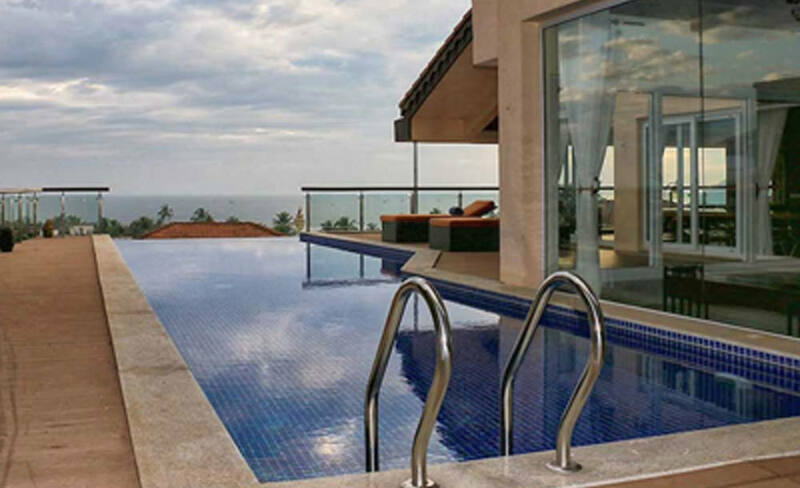 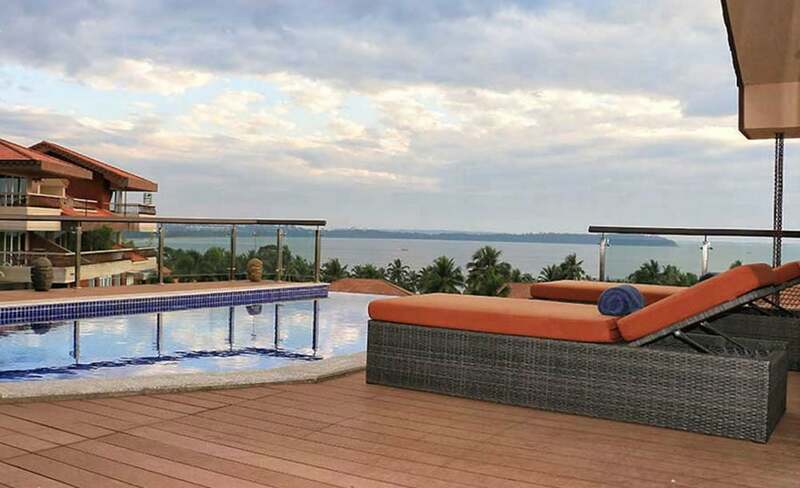 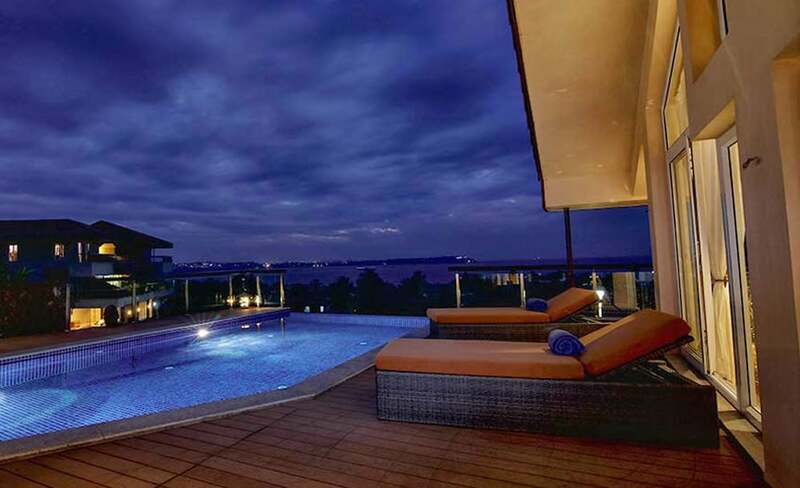 A deck with infinity swimming pool drops onto a sea view with five balconies. 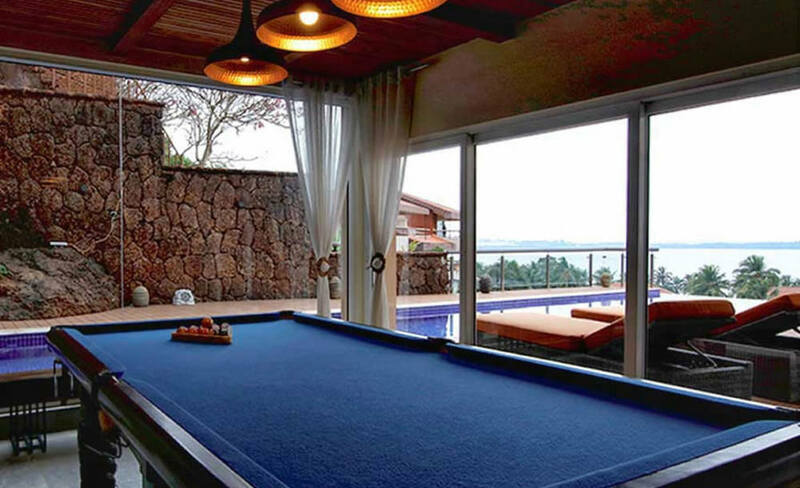 A pool table and bar for the guests to use. 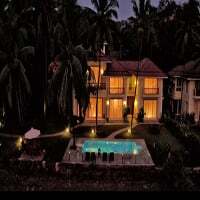 The owners, who do not stay in Goa, are quite choosy about who stays at their place. 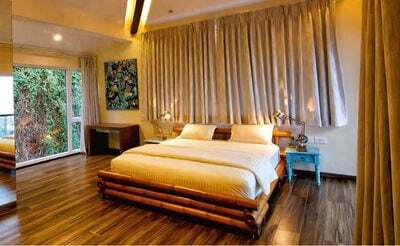 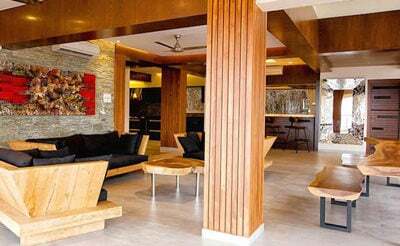 There is Wi-Fi, cable television in all the bedrooms, and a generator to save you from power cuts. 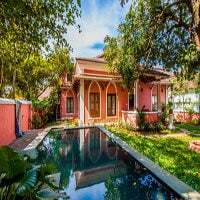 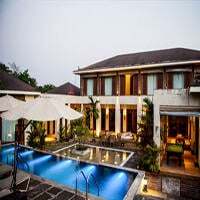 The three storied villa with elevator has a complete staff with a driver, cook and housemaid residing on the ground floor with a service kitchen. 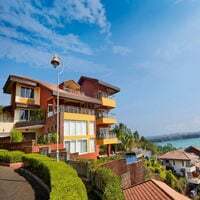 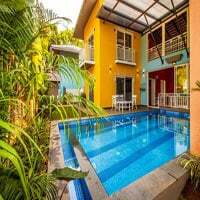 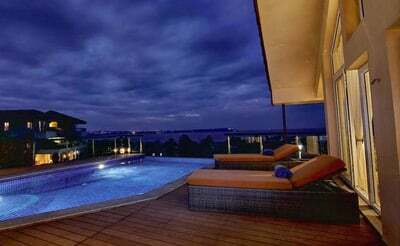 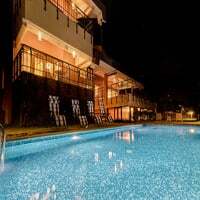 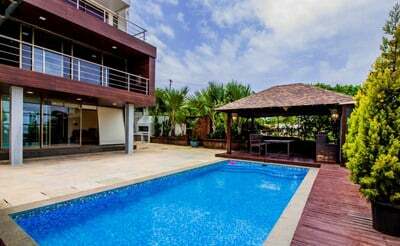 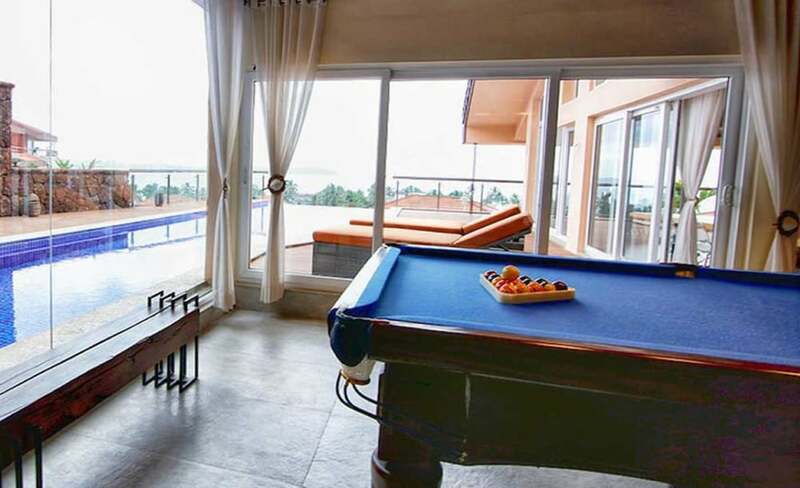 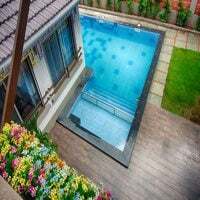 On the first floor, you find one bedroom as well as a complete fun area including living area, powder room, pool table, bar, kitchen furnished with all crockery, dining area with balcony and deck with a swimming pool. 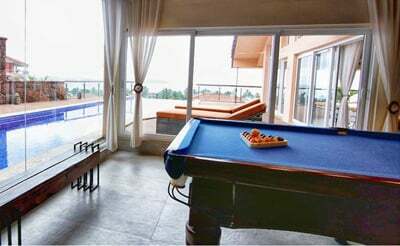 The second floor has three bedrooms with attached balconies complete with entresol floor with leather sofas for extra leisure. 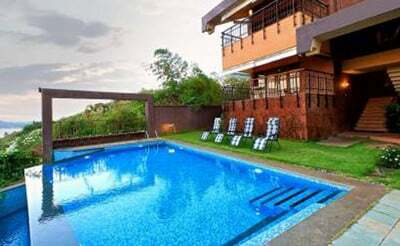 For fitness addicts there is a gym, pool and jacuzzi set at the club house. The arena is located on the hill of about 117 ft, above sea level providing spectacular sunrise/sunset views. 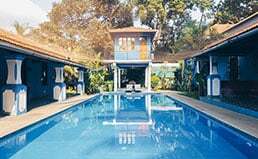 About an hour’s drive from Panjim airport, and located at the east end of Coco Beach, the historic Reis – Magos fort, and the haunted Three Kings Church are just a walk away. 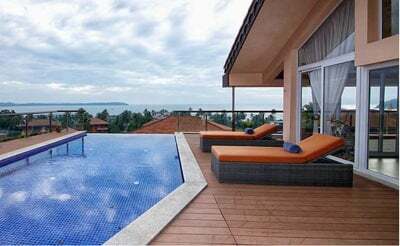 Calm and peace are signs at Vista do Mar, yet the flurry and exciting beaches of Candolim are minutes away, and Old Panjim, with its UNESCO World Heritage Churches are just half an hour’s drive. 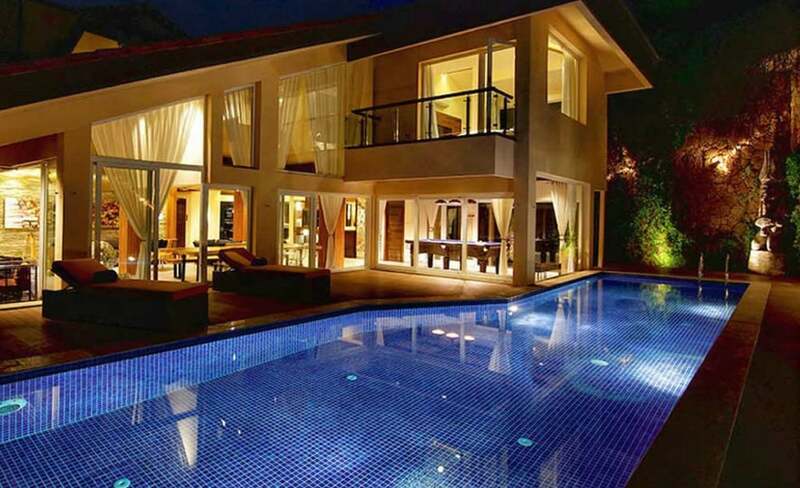 The staffs are always around when you need them. 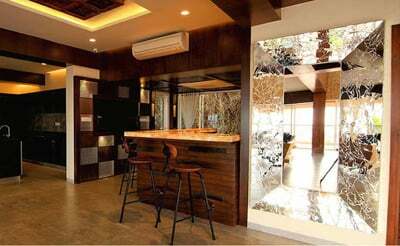 They provide housekeeping and also serve tea & coffee in the mornings. 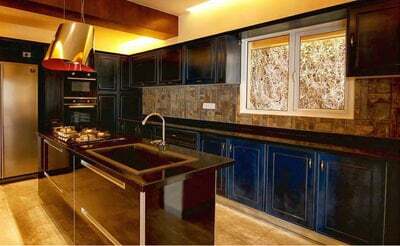 We also assist you to hire a personal cook to revive your taste buds.